KSR Blog - Be prepared! You are going to encounter the local population! 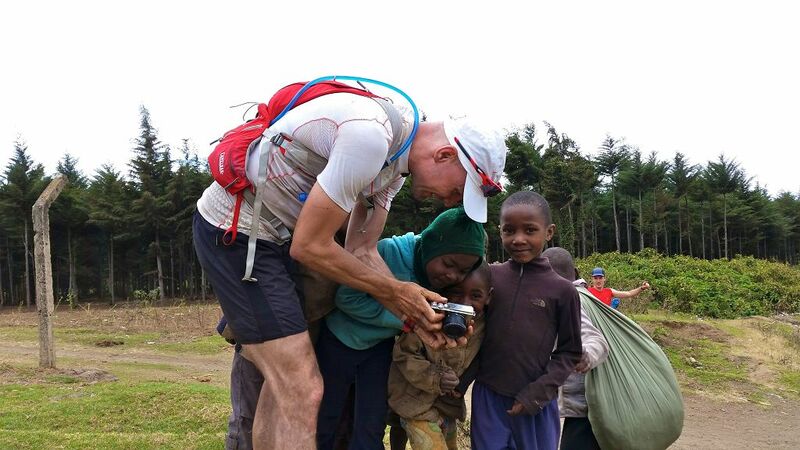 During the eight stages of running the KSR, you will have the chance to encounter Tanzania and meet its people in a more personal and natural way than on any other trip. 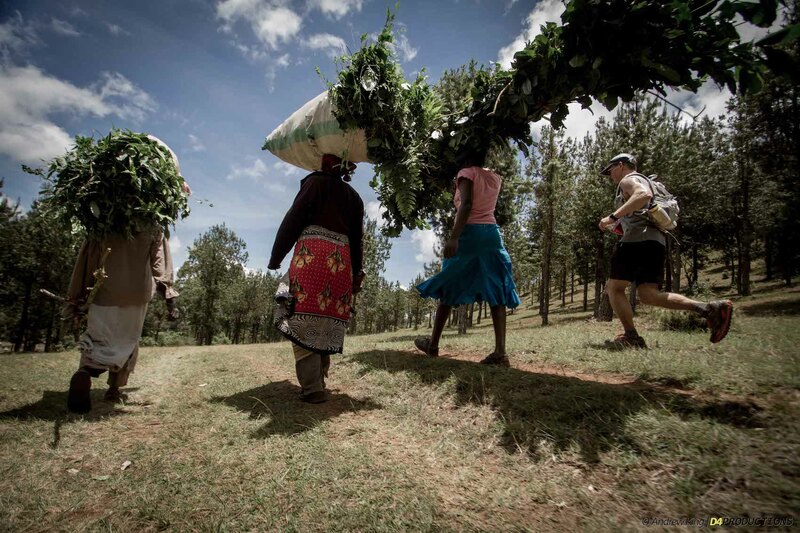 Each runner will immerse themselves in the experience their own way as you run along farm fields, past schools, shops, and tea houses, and through numerous Chagga and Maasai villages. Be prepared! You cannot stop from smiling! Enjoy the company of kids of all ages – you will encounter bunches of them along the route! Some will run with you for hundreds of meters – laughing with joy the whole way; shy ones may hide themselves behind a tree, though they get up the courage to yell “hello” or “bye bye” after you have passed; while the smallest ones may just stare in wide-eyed disbelief and give you a timid wave. For a couple of nights, camp is set in the schoolyard of local primary schools. As your running day may be over before the end of classes, you will meet the students in school uniforms playing outside. Join them in an impromptu game of tag, take a million photos and then expect a swarm behind you as you scroll through the shots on your screen, or just try to communicate using the couple of Swahili words you have learned, their limited English, and universal hand signals. In the morning, as the children are starting school at dawn, you can hear them singing the Tanzania national anthem and lining up for their morning exercises while you are taking your breakfast. Be prepared! You are going to be amazed! Cross paths with barefoot bibis (grandmothers) with bundles of cut grass on their heads or young girls toting buckets of water – perhaps on the steep slope out of a deep valley. Encounter the ladies working at the stone quarry in the hills where they make red bricks used in local home construction. Watch out for the men zooming past on pikipikis (motorcycles) or baisikelis (bicycles) loaded to the max with teetering piles of cloth, boxes, or whatever. Be prepared! You are going to be entertained! 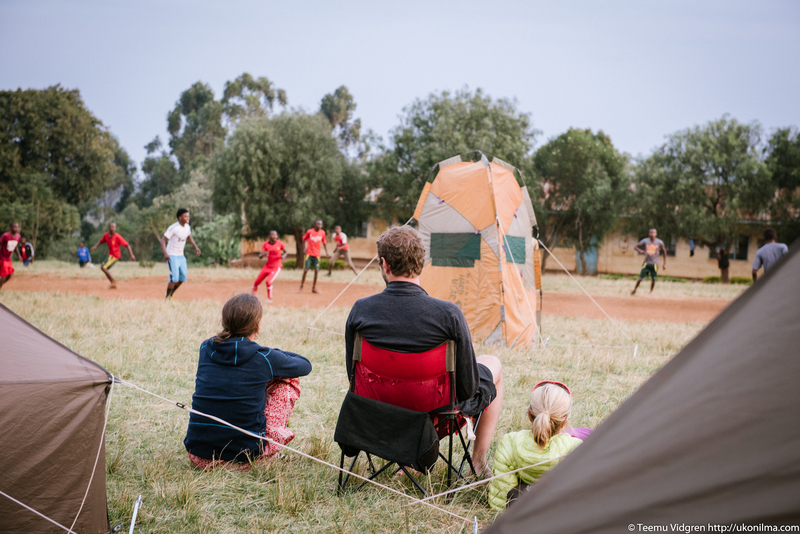 Watch young men playing football on a field near camp as the sun slides beneath the horizon, and help keep the score between the teams (as if the score really matters!). They are in tattered shorts and bare-footed or wearing old sport shoes, but they are playing as hard and with every bit of determination as Lionel Messi in the World Cup. Play with innumerable children who have made their own toys with only discarded pieces of plastic, wood, paper, or rope . . . and their own overflowing imagination. Be prepared! You are going to be surprised! Run through scattered Maasai bomas (homesteads) and see these pastoralists known for their distinctive clothing, beaded jewelry, dramatic dancing, and steadfastness to their lifestyle. They will observe you as intently as you do they, and even their herds of goats and cattle will stop, look up, and take notice. 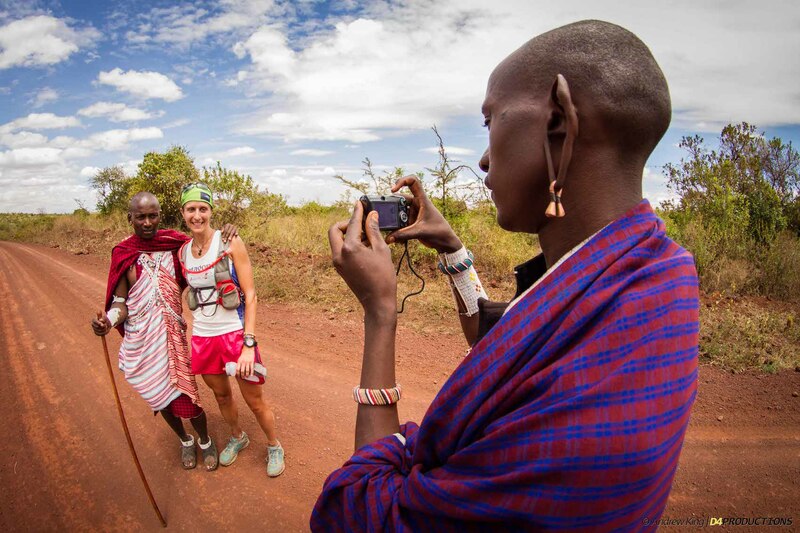 As you fumble for your camera, a Maasai will already have pulled his mobile phone from under his shuka (blanket) and snapped a photo of the crazy Wazungu (white people) to show his friends the astonishing sight! Be prepared! You are going to be running through authentic Tanzania! And encounter crowds of old men lounging around local bars, commuters piling into rickety vans and buses, women carrying huge bunches of bananas on their heads, school kids in their bright uniforms chatting and laughing en route to school, mountain porters relaxing after a hard climb up the mountain, or a butcher leading a cow to be slaughtered on the open air concrete block outside his shop, among so much else that comprises the daily life of Kilimanjaro.